It's Thursday and that can only mean one thing... 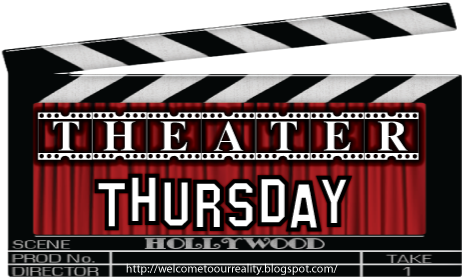 It's Theater Thursday! This week's featured movie is, The Hangover Part 3. I loved the first Hangover and I really enjoyed the second film in the trilogy. When the third and final film came out, I was pretty excited and hoping for something great. While it could have been better, I thought they did a really good job finishing up the story line. They also had an original story line and wove something together that worked with the story. So what's it about? 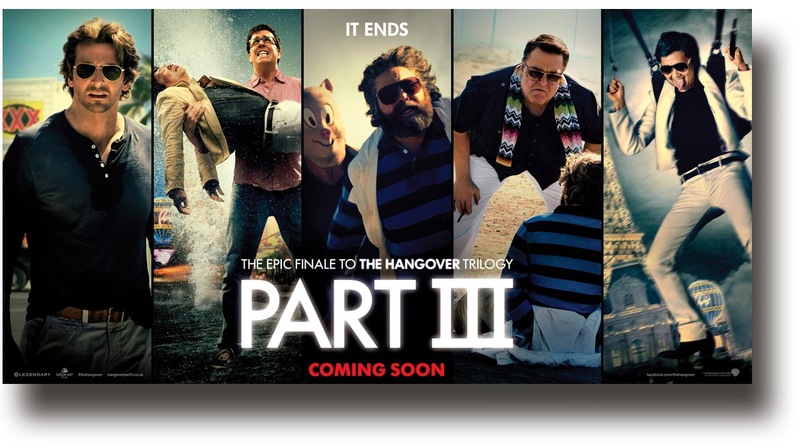 The original cast is all back in the Hangover 3, Phil, Stew, Alan and Doug are back. This time their trying to provide comfort and help to their odd friend Alan who's off his medication. While taking him to a facility in Arizona the gang gets surprised in an ambush on the highway by unknown men. Turns out they hadn't gotten Mr. Chow out of their life. Just when they thought they had heard the last of him when he was arrested in Bangkok. He's broken out and up to no good again. Looking for Chow is a man who needs to bring the wolf pack back together and since he's use to getting his way he expects results. So the wolf pack is back together and on a mission. They need to find Chow and bring him in for a meeting. If they don't Doug will die. We see a lot of former stars from the previous Hangovers and the storyline is more serious than the previous two movies. Give it a watch and finish out the trilogy. Hmmm. I was originally excited to see it just because I liked the other two, but this storyline doesn't interest me that much. Maybe I'll catch it if it's on TV, but probably might just take a pass. Thanks for the review! I forgot there was even a part three! I love the first but not the second. I still gotta see this one. I have yet to see this although I want to, I enjoyed the first two! I did see the first two hangover movies, but never actually got around to seeing this one. Of course it didn't help that the boy saw it in the theaters without me!